Medical Ministry International first travelled to Colombia in 2004, under the leadership of Willie and Janice Hunter and at the invitation of Antonio and Ruth Cortes and the Iglesia Cruzada. Project teams in Colombia aim to provide basic primary care and dental care in the Amazon Region, as well as specialized vision services. Vision care projects are focused in urban areas, and include opportunities for local medical personnel to receive training. These large projects typically see a high volume of patients looking for all types of services: glasses, cataract surgery.... Through Medical Ministry International and our project partners, the 'blind' can now see. Juan Alan Muñoz was born in 1972 to a Colombian father and an Irish mother, who were called to be missionaries in the Amazon jungle of Colombia. Juan Alan studied Economics at university in Northern Ireland and Finance in Bogotá. He has been working in the area of business administration in the health sector of Colombia since 1996. He began serving with Medical Ministry International, as National Director of MMI Colombia, in 2004 and as CEO of Clinica Leticia in 2013. He is a father of three children, Juan David, Andres Felipe, and Isabella, who also help on MMI Projects. Juan Alan spends his time between Bogotá and Leticia, always with a cup of coffee in hand. Juan Alan and his wife, Leonor work closely with Medical Ministry International in planning the projects in the Amazon Region and other areas of Colombia. Juan Alan Muñoz is developing MMI Colombia with strong community leaders. 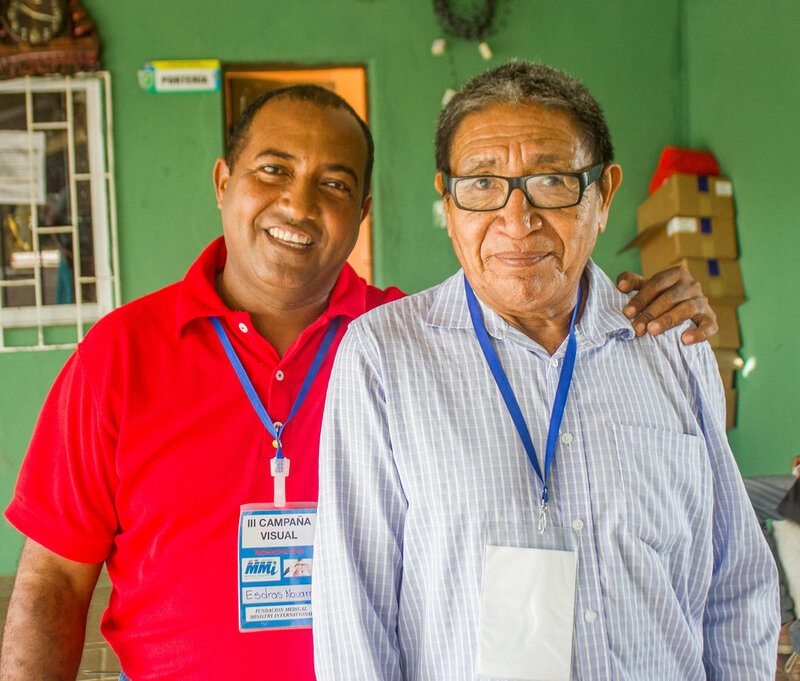 Eye care projects led by Richard and Barbara Skinner and Juan Alan Muñoz have served over 65,000 patients since 2005 in Buenaventura, Barranquilla, Cartagena, Leticia, Ciénaga and Riohacha. “ Hi, I want to thank you for your work. They are good people and I ask God to bless all of you who have come so far to help many people who need it and to give you many more years of life so that you can continue to help many people. I have seen that you are a person full of happiness and love. Too bad I could not share more times with you but I will always carry it in my heart and my mind. Thank God for bringing them here and may God pour out many blessings on you and your family. I hope you can come next year. Barrancas is a town and municipality of the Colombian Department of La Guajira. The municipality of Barrancas is located to the left margin of the Ranchería River in a valley formed between the Sierra Nevada de Santa Marta mountains and the Serranía del Perijá. Barrancas commercializes in small scale agricultural products such as coffee, plantain, cotton, maize and yuca, but the main economic activity in the municipality is the exploitation of coal at Cerrejón coal mine. The Cerrejón coal mine is one of the largest open pit coal mine in the world. The climate present in the region is predominantly hot and dry with no mountainous climate variations, maintaining an average temperature throughout the year of 28°C. Bocachica is located in the Cartagena Province of Colombia. The Province of Cartagena occupies much of the Caribbean coast of Colombia. The territory of the province was amorphous in shape, with borders that followed an undulating line edged by the foothills of the Andes mountains to the south, consisting of the Abibe, San Lucas, Ayapel and San Jerónimo mountains, running west along the Serrania del Darien and east along the Magdalena River. Riohacha, which translates into English as "River of the Axe" or "Axeshore", is a city in the Riohacha Municipality in the northern Caribbean Region of Colombia. It is located by the mouth of the Ranchería River and the Caribbean sea, capital city of the La Guajira Department. Founded by conquistador Nikolaus Federmann in 1535, Riohacha was named after a local legend "The legend of the Axe". Owing to the powerful rain shadow of the Sierra Nevada de Santa Marta, the area is mostly desertic. During colonial times, Riohacha was a very important port due to the discovery of vast numbers of pearls. In the second half of the 20th Century, the city became one of Colombia's maritime commercial ports. * Project Description: On these projects, surgeries take place at a local hospital in Riohacha, and the optical clinics are set up at a local school. The Integrated Health component of the projects is for patients to learn about eye care, hygiene, preventing the spread of germs, dental health, and information about the clinic stations. These projects are a comprehensive vision care team of Ophthalmologists, Optometrists, Opticians, Nurses, Technicians, and Support Team Members. On average, the temperatures are always high. There is little rainfall. Travelers to Putumayo, Meta, Gorgona (Cauca), Tayrona National Park (Magdalena), and Caquetá must produce proof of yellow fever vaccination, as it will be required by airlines for flights to these departments. Please check the following website for the most current entry/exit requirements. • Airport: Riohacha, Colombia (Almirante Padilla Airport - RCH) via El Dorado International Airport Bogotá (BOG) on one continuous ticket. 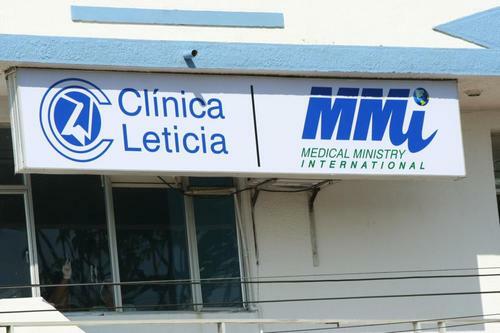 Medical Ministry International has formed an alliance with this clinic in Leticia. Here, a moderate level of health care are provided, such as surgeries and deliveries. In the Amazon region, many patients are transported weekly to Colombia’s capital, Bogotá, due to lack of advanced medical machines and specialists. Clinica Leticia is working to upgrade its facilities to reduce the number of air transports. Colombia is one of the most ethnically, linguistically, and ecologically biodiverse countries in the world. The urban centres are mostly located in the highlands of the Andes mountains, and the Colombian territory also encompasses Amazon rainforest, tropical grassland and both Caribbean and Pacific coastlines. Indigenous populations such as the Muisca, Quimbaya, and Tairona have mixed with Spanish, African, and Middle Eastern immigrants to create a culture as unique as its landscape. Colombia is the third most populous Latin American country with 47 million persons. It thereby possesses an incredibly rich cultural heritage. Health care reforms in the 1980s have made great strides in Colombia: it is estimated that 96% of the population has health care coverage. However, high quality health care is only available to the emerging middle and upper classes in urban centres. Those that are economically disadvantaged frequently suffer from less attention, allowing health disparities to continue. Life expectancy and infant mortality measures are slowly increasing, and are among the best in Latin America. A shortage of qualified healthcare workers allows infectious diseases to continue to spread, however chronic diseases such as hypertension and diabetes are increasing in prevalence. Colombia has a strong education system, and most people are literate and finish secondary school. Interestingly, rural education is often of high quality due to a novel teaching method Escuela Nueva that places students at the centre of learning. Tropical along coast and eastern plains, cooler in highlands.